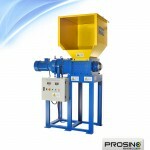 Prosino PS-S-VP Series single shaft pipe shredder, also known as vertical single shaft pipe shredder or simply vertical pipe shredder, is particularly designed for shredding various types of pipes and tubes, such as PE pipes, PVC pipes, PP pipes, ABS pipes, rubber tubes, long paper cores, etc.. 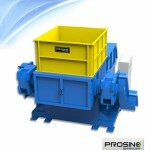 This plastic pipe single shaft shredder is the ideal choice for shredding long, thick or large diameter pipes. 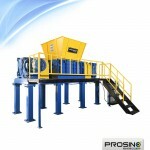 Attributed to its movable hopper, the pipes are travelling along with the movement of the hydraulic ram and thus are pushed closely to the cutting rotor for thorough and efficient shredding. The hydraulic ram pressure and timing can also be tailored to suit different materials. 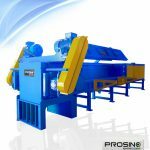 This plastic pipe single shaft shredder consists of rotary cutters and stationary cutters which work together to complete shredding materials. Rotor’s four edges can be used in turn for long service. Different rotor configurations are for your choices to meet different materials. 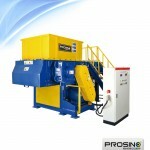 For example, you can choose high performance rotor or hard materials rotor depending on your shredding materials. We also have different design of knife holders to suite different materials’ requirements. 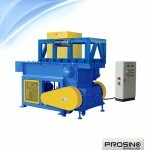 Operation of this single shaft pipe shredding machine is also quite easy and straightforward. Under AUTO mode, this pipe shredder machine works fully automatically and the cutting rotor can automatically reverse once material gets stuck in the shredding chamber. The combination of advanced controls, low speed rotary cutter, ideal rotor configuration and smooth hydraulics create a reliable and easy pipe shredding system. 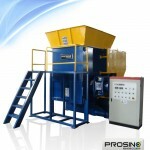 Choose from our various pipe shredder models available, or contact us for a customized pipe size reduction solution. 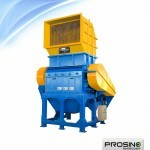 View more plastic pipe shredders and granulators. 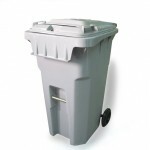 View more plastic balers if you need. To push the long pipes closely to the cutting rotor for effective shredding along with the movement of the hydraulic ram. 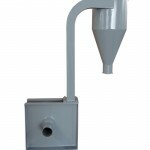 To control the shredded particles below certain size. 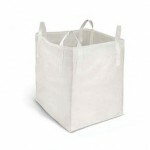 Size of scree mesh can be customized. 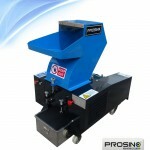 To push the objects closely to the cutting rotor for efficient shredding. Easy to be replaced or switched on installation side for further use. Making it easier for fault diagnosis and maintenance. For effectively cooling down oil temperature in high ambient temperature so as to protect machine.